Of late I am feeling overwhelmed with LIFE happening. I’m forgetting things I’d ordinarily be on top of. I seek solace in my bedroom with the door closed just to catch my breath. When free time comes, as infrequent as it is, I do absolutely nothing. It’s almost like I’ve had a brain fart and would lose myself if I didn’t hold tight to the truths tucked away in my heart. [pullquote width=”300″ float=”left”]… there’s a huge difference in praying and continually seeking God to guide my steps and do life with me. [/pullquote]Being a single mom is hard. Being a single mom to boys is a job women should receive Emmy awards for. Being a single mom who works as an educator to 101 kids entrusted to me for 9 months is even harder and Oscar worthy. With all of the things floating around in my head, I feel lost sometimes. Isolated. Feeling that I’m alone in the thick of this life happening around me. It’s in those times that God sends little things to remind me of is HiH His presence. Reminding me that He’s right there in the thick of this life with me if I continually seek Him. Even though I pray every morning, there’s a huge difference in praying and continually seeking God to guide my steps and do life with me. The Bible is full of scriptures left to remind us that we are and have never been alone, however, we get so caught up in situations and our finite headiness that it begins to jar us a little. 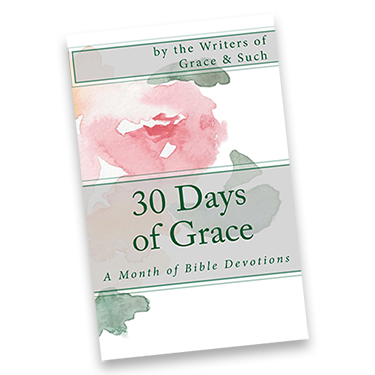 As I prepared to write this, God brought to my attention a devotional about being a Proverbs 31 woman and how the woman described there was able to handle life because she sought God and was in awesome fear of Him (Prov. 31:17; 25; 30). She was a wife, mother and employed outside of the home, however, God was at the center of her everything (v. 11-12; 23; 13-16; 28). He was there to do life with her and gave her strength to be the kind of woman a husband would be proud to have and a mother children would adore. This devotion was short and yet the message, very clear…when things seem to get out of hand, God is waiting to relieve the load and carry it for me if I just seek Him (Deuteronomy 4:29; Jeremiah 29:12-14; 1 Chronicles 16:11). Lay it all at His feet, surrender it and stick to no backsies. Life is hard enough when we try to go the journey alone. Yet, God in His infinite love for us encourages us to seek Him without ceasing (1 Chronicles 16:11). To ask for His help in navigating the ever changing sea of life (Proverbs 8:17). To knock on His door and expectantly await Him answering it (Matthew 7:7-8). To expect Him to show up so He can show us just how loving, merciful and kind He is to His children. Sometimes all it takes is one of His reminders, be it a scripture, a devotion or a friend with encouraging words to let you know they see you pushing through and not giving up. I see you pushing through and not giving up. God has done so much in your life and witnessing it gives me encouragement. Sending a hug and a prayer of encouragement from the Upper Left. These pruning seasons are no joke, but when they are in our rear view mirror – if we’ve been seeking as you have – we see how He carried us and even used the gunk to make us more like Him. You’re right though…Oscar worthy. “Even though I pray every morning, there’s a huge difference in praying and continually seeking …” Isn’t that the truth? We go through the motions sometimes and think we should be getting the same results. But continually…it’s a hard one, yet major effective!! Hang in, brave Warrior!! I’m in a bit of a season of overwhelm too, Denise. At 84, my mother is having health problems, physical and emotional. Just yesterday I was chanting “Cast your cares upon Him because he cares for you” over and over. I told him, I can’t do this, God, you have to do it for me (get companion care for my mom in WV so I could visit my daughter in NY). And he did. Again I learn the lesson that surrender is good.